Scientists studying earthquakes should be prepared to put themselves forward to reduce the risk of earthquake damage. This was one conclusion from a meeting of scientists and engineers in London last week. Picture yourself here. You are an earthquake scientist. Years of research conclude that a capital city lies close to active fault that has the potential to generate a large earthquake. The local government fails to act on your finding. Speaking at a meeting of the British Geophysical Association, Prof. Eric Calais (ENS, Paris) describes to fellow scientists how he found himself in this situation in 2008. 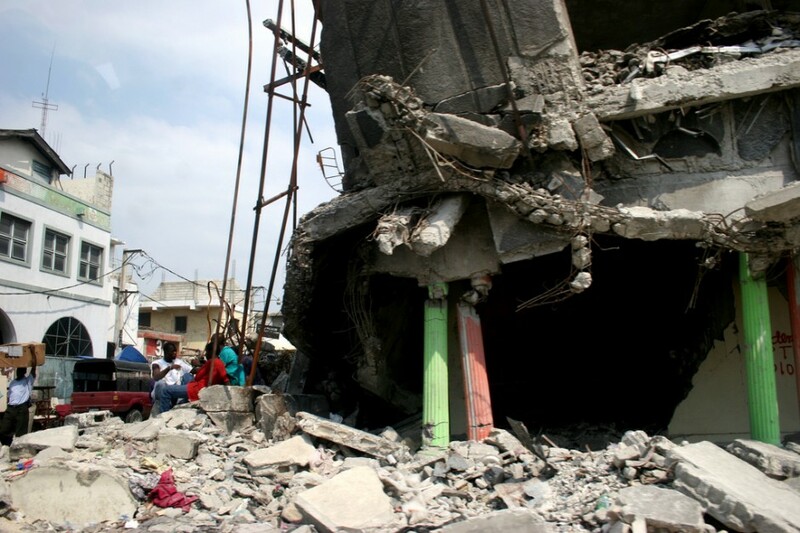 In January 2010, that damaging event finally happened: a magnitude 7.0 earthquake striking Haiti. The earthquake killed 320,000 and displaced over 1 million people. The earthquake was unpredictable; the damage was foreseeable. In Calais’ eyes, the combination of corrupt government and poor building codes was fatal. In the aftermath of the earthquake, Calais joined the UN’s Development Program to advise on future geohazard policy in Haiti. Calais says that communicating science is difficult in a country that has sustained political and socio-economic problems. Scientists need to reach across a plethora of interested parties – from government and the private sector, to NGOs and foreign aid donors. Keeping lines of communication open is difficult where poverty is rife and public exposure to science is minimal. By tuning into the objectives of those who write policy, scientists can help to reduce the risks from geohazards. Here is an example to illustrate. Geophysicists often deploy networks of seismometer and GPS instruments to better understand earthquake hazard. To a scientist, this monitoring sounds like a good idea, but policy makers have a different focus. The monitoring network could be adapted into a primitive early-warning system operated by a civil protection agency. From the government’s viewpoint, such an initiative will allow the country to take on responsibility for risk reduction. Calais maintains that a gap exists between the makers and users of scientific products. To close the gap, scientists must be the ones to step forward to engage with policy makers and governments. More researchers are becoming trained in public engagement. Yet there is little emphasis on actively engaging with policy and governance, leaving many scientists without the confidence and skills to stand up for their research at times when it is needed the most. More worrying is the recent prosecution of seismologists in Italy that may cause some geoscientists to disconnect altogether from policy makers, narrowing their comfort zone to an all-time minimum. The manslaughter conviction was wrong on all levels, yet there are lessons to be learned. With better training for scientists, we are entering a new era for geohazard risk communication. New projects such as Geology for Global Development and Earthquakes without Frontiers plan to set a new precedent for risk communication by combining earthquake science with the social sciences. Because of such initiatives, we can be hopeful that geoscientists’ comfort zone will continue to widen and important science will reach those who need it the most. Earthquakes: from Mechanics to Mitigation was a meeting organised by the British Geophysical Association at the Geological Society of London on 13th and 14th February 2014. 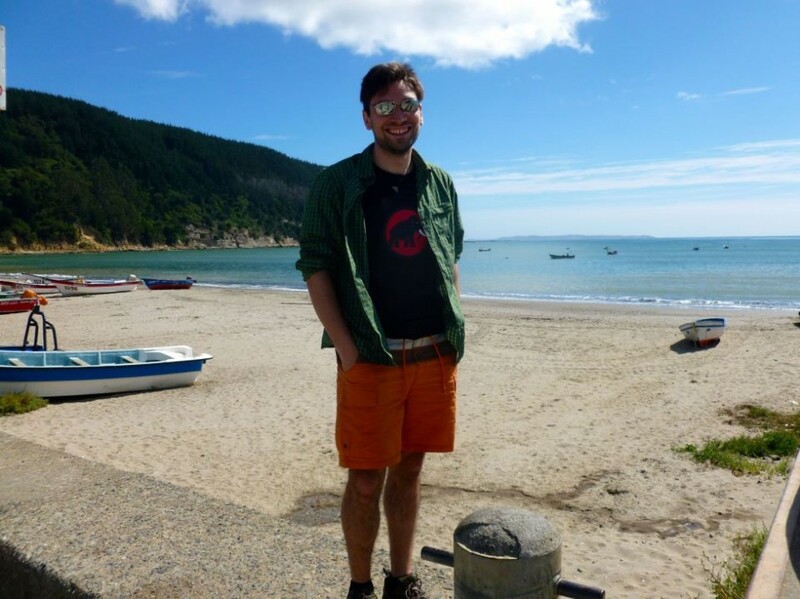 Stephen Hicks is a Postgraduate Research Student in Earthquake Seismology at the University of Liverpool. His current research involves making 3D images of the earth’s subsurface in order to understand what factors may control large earthquakes in subduction zones. He is currently heads an outreach project supported by the British Geophysical Association that makes information about significant global and UK earthquakes available to the public. His Twitter handle is @seismo_steve. This is a very relevant article posted by Steve pointing to the much needed activities by seismologists. Earthquake is nature’s fury by which numerous lives get lost or injured apart from other destruction. Modern technologies such that as released in gradiometry, magnetometer and seismology can lead researchers get better analysis and prediction of earthquakes so as to bring about minimum causalities. Go through http://www.gemsys.ca/applications/earthquake-research-applications/ the latest technology of gardiometry that is being used by Gemsys so as to give a new face to earthquake research. Geology Jenga collects the science, career and science communication ramblings of Daniel and Laura, former PhD students at the University of Liverpool. Geology Jenga will explore our (Laura and Daniel’s) research disciplines (Geophysics & Archaean Geology and Geography & Quaternary Science, respectively) but with the unique slant of highlighting opportunities where the sharing of knowledge and/or methodologies within disparate Earth Science disciplines could contribute towards a more holistic understanding of landscape evolution. Media skills for scientists – how to get them!